SF5 and SF6 are now being hosted over at SpaceSimCentral.com. Both the downloads for the games have been patched to the latest version, and the SF5 package also contains the necessary DosBox configuration files and running instructions. See the SF5 and SF6 download pages for more information. Special thanks to SpaceSimCentral's Darkone for setting up the downloads! Good news everyone: it is now possible to run SF5 in full 320x200 VGA + soundblaster glory using DoxBox! I have made some experiments on how to get the game running on DosBox, and luckily it is quite simple. To make the game run at all, you need to up the memory allocation of DosBox from default 16 megabytes to at least 32 megabytes. This can be done by modifying the memsize -setting in the dosbox.conf file. Special thanks go to Eetu Jalonen for bringing this to my attention. Hello everybody - some real news at last! 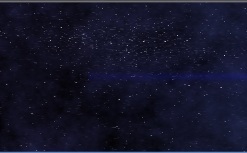 Davide Gianino has created a SDL port of StarFight VI which allows the game to be played in modern operating systems such as Windows XP and Vista. There are still some minor issues with for example sound, but overall the port is really impressive and has proven to run very stable in my own testing sessions. Head over to the SF6-section to get it! I've also set up a local download for the SF6 main package because the mirrors appear to have all gone down, unfortunately. Anyway, the SF:C development has been updated. JP-Production is participating Assembly 04 Game Development compo with a customized game technology version of StarFight: Comrades! This is your first chance to try for yourself what the game is about. Keep in mind, though, that this demo only gives you a hint on how the small ship combat is going to be like. Furthermore, it is limited into one star system only. Adventure/space exploration side of the game is completely absent. Get your copy of StarFight: Comrades Assembly 04 Edition from one of the compo mirrors. See the official party site for more information. Watch this space. An update to the game will be made available shortly. StarFight: Comrades development journal has been updated with a new entry. As approppriate, a new screenshots are also up. For the first time, we take a brief look at some of the the gameplay elements being developed for SF:C.